In our previous blog we covered how ageing Compellent SAN has become a nuisance to ImageTrend and hampered their ability to scale. ImageTrend responded by choosing Microsoft Hyper-V and Storage Spaces to support their growing customer base and provided them a platform designed from the beginning to support cloud and virtualized application environments. In DataON Storage’s CIB and JBODs they found a real world proven and Microsoft certified storage platform for Microsoft 2012 R2 Storage Spaces, which provides highly availability for business critical deployments. The CIB plus JBOD, would enable them to efficiently deploy, scale, and manage Microsoft Hyper-V VMs. With DataON Storage CIB and JBODS, ImageTrend was able to reduce their software license costs and annual renewals. ImageTrend lowered the capital expenses by 200% by eliminating most of their Compellent SAN, while tripling their storage growth from 100TB to 300TB with Storage Spaces and Scale out File System. 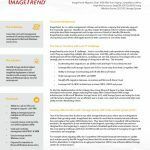 On top of tripling their storage capabilities ImageTrend now realizes a 50% reduction in storage administration costs. DataON Storage provides report scripts to further ease administration time and cost. A pleasant benefit of running Scale out File System with their Microsoft System was the ease of deployment and management of enterprise SQL and virtual machines through a single pane of glass. These savings allowed ImageTrend to redeploy their IT resources and prepare for Microsoft Windows Server 2016. The introduction of Windows Server 2016 will bring several benefits to ImageTrend, including the introduction of Storage Spaces Direct which will see deployment with a number of their applications. 2016 will also bring native replication for clusters and storage, as wells as SQL 2016 which will support availability groups, helping to improve the availability of their SQL servers. ImageTrend also expects more savings with Windows 2016 with system center license as a package.